Along with link popularity, there are many effective tactics to increase traffic to your website. However, a comprehensive strategy to increase traffic, leads, sales or other conversions is our true focus. To increase sales, you must increase your conversion rates. Conversion rate is a measure of the number of prospects that actually buy or signup for your product or service. For most websites, it is usually the percentage of visitors that make a purchase. 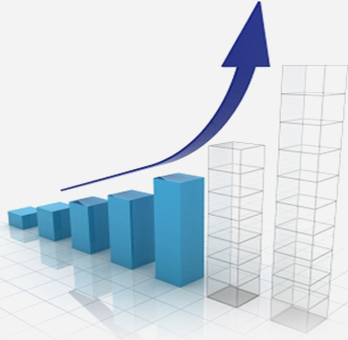 Many websites concentrate solely on increasing the number of visitors to increase sales. However, if these sites improve their conversion rate, they would have a significant, positive effect on revenues. Here are a few simple considerations to improve conversion rates at minimal expense. Beginning with your website domain name, make sure you stand out from the competition. Select a website name that differentiates your business yet makes sense to your target audience and is easy to remember. Next, make sure that your content addresses exactly what your audience needs and delivers it in a design that is attractive, easy to read and navigate. Be relevant. If you are targeting a market with specific keywords, your audience should land on the precise page on your site after typing those keywords. For example, if your audience types “vintage wine” into a search engine, on clicking your link they should be taken to the page on your site listing and selling vintage wines. They should not land at the home page of your website which has a link to the vintage wine section. Being relevant is a simple, often overlooked strategy. This strategy uses landing page, a single page on your website designed to quickly convert a specific visitor into paying customer, hot lead, sign-up, etcetera. It can be a very valuable strategy. For example, if you have 10,000 visitors a month to your website and you convert 1%. That would be 10 Sales. If you could increase the conversion rate by 500%, then you could now get 5 times the amount of sales with the same marketing budget. We’ll show you how to use landing pages to do just that. Measuring and testing is the key to improving conversion rates. You can’t improve conversion without measuring visits, sales and other criteria. Not measuring means you’re making an educated guess at what actually happens on your site. Get a good measurement system, learn what it’s all about, and test your changes. Growth is necessary for business survival. Stand still and the competition will quickly overtake you. Increasing your conversion rates and trust factor is a business growth strategy that every business can use.